DHU are the provider for the NHS111 Services for Derbyshire, Nottinghamshire, Northamptonshire, Leicestershire, Leicester and Rutland and are the provider of Offender Health and Justice services for HMP Sudbury and Foston Hall prisons. 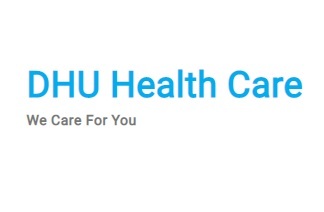 DHU believe that patients deserve good quality treatment in a caring and safe environment. As a team DHU are committed to doing the right thing, in the right way, at the right time, in the right place and with the right results – improving the lives of patients 24 hours a day, 365 days a year. Derbyshire Health United (DHU) provides Out of Hours primary care services across the county of Derbyshire from a total of 13 locations. These services operate when your local GP surgery is closed between the hours of 6:30pm & 8am Monday to Friday with services being available 24 hours a day weekends & bank holidays. 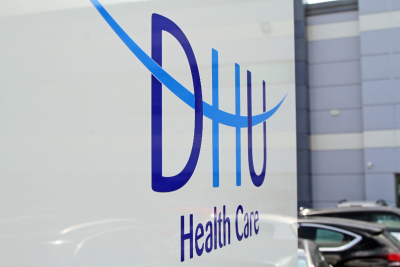 DHU is also the parent company of DHU 111(East Midlands) CIC service and the current provider of the evening / overnight District Nursing service for Derbyshire. Integration of the three services has allowed DHU to improve the patient journey encompassing a multidisciplinary approach to ensure referral to the appropriate healthcare professional. During 2016 DHU were able to fully achieve the majority of the National Quality Standards requirements for Out of Hours primary care services including the local key performance indicators. DHU are continually reviewing our clinical services and internal processes to improve the delivery of the services we provide. This is to ensure appropriate clinical staffing provision to meet the needs of the significant increase in patients accessing DHU’s services. During 2016 105,624 patients attended an appointment in one of our Primary Care Centres (PCC) and have been assessed and treated by one of DHU’s many General Practitioners (GP) and Advanced Nurse Practitioners (ANP). In addition to patients attending our PCC’s, our clinicians have also visited 26,765 patients in their own homes, Nursing, Residential Homes or Community Hospitals across the county. Our GP’s and ANP’s have also undertaken 80,892 consultations over the telephone. National Quality Standard 10, Face to Face Clinician assessment for Urgent Walk in Patients and Routine Walk-In Patients seen continues to be a challenge. Although the out of hours services are for patients attending with a pre-booked appointment patients do on occasion attend without an appointment. During 2016 DHU achieved 93.7% of all urgent walk-in patients seen within 1 hour of arrival and 97.9% for all routine walk-in patients were seen within 2 hours of arrival, against a target of 95% for National Quality Standard 12, booked face to face consultations within a PCC or while a clinician is consulting a patient within their own home ‘home visit’. During 2016 DHU has consistently achieved all of the 8 elements within this standard against a target. For 2016/2017 financial year, DHU to date has consistently achieved an improvement in the agreed three CQUINS which were issued by the CCG at the beginning of the year. One of the three CQUINS relate to antibiotic prescribing, which is a key factor in the increase in Clostridium Difficile infections and also the increase in antibiotic resistance. Presently we are at amber status however we are continually improving. To date DHU are fully achieving the remaining two CQUINS. 4) Are services responsive to people’s needs? Access to the full report can be found on the CQC website. The Friends and Family Test is an important opportunity for patients to provide feedback on the care and treatment they receive. Introduced in 2013, the test asks patients whether they would recommend health services to their friends and family if they needed similar care or treatment. This test enables patients to give feedback on the quality of the care they receive, giving service managers and employees a better understanding of the needs of their patients to enable improvements. The test asks the standard question, “How likely would you recommend Derbyshire Health United to friends and family if they needed similar care or treatment?” We are extremely pleased with our results throughout the year overall on average 83 patients agreed they would recommend the service they have received to friends and family.